It’s time to get real with you. Because I feel like in certain ways, over the last couple of months, I have not fully been practicing what I preach. I know all the best practices when it comes to our health and nutrition and exercise. I know what to do. I know why we should do it. I know the vast benefits that come from it, and I know the consequences that follow when we don’t. But for the last few months, I’ve been on a downward spiral when it comes to allowing sugar and bad carbs back into my diet. I know better, but I haven’t been DOING better. I feel comfortable sharing this with you because I am certain that we ALL have been there in our lives at certain times. None of us is perfect; that’s not what this is about. If you’ve been watching my Instagram stories over the last couple of weeks (@charlotte_ferreux), you’ll know that I’ve really been making some significant shifts and changes when it comes to my health. In this week’s podcast episode, I’m getting real personal and breaking it down for you…. We all struggle with our health; it ebbs and flows and none of us is perfect. We all have triggers and we all have different times in our lives where our health fluctuates. And sometimes new things enter in our lives, or things leave our lives, and that can really offset our health habits and disciplines. Let me go back a few months and really explain what I’ve been going through. I’ve always been an active person; I’m a spin instructor and I love running and going to the gym. I’ve also always been pretty consistent with my eating habits and I love healthy food. Back in February, I got super sick. I had a terrible lung infection and it really took me out for a good 6 weeks. I was still mostly able to do my work, but I definitely couldn’t work out. As a coach, it’s really important to me that I show up at 100% for each and every one of my clients; they deserve my full engagement and energy in every single session. That meant that I really had to protect myself and heal myself properly in order to maintain that. I had to completely cut out physical activity in order to really rest and heal myself from this infection. And it’s just a vicious cycle; falling out of one habit lead to me falling out of others and falling back into more unhealthy habits. I started to allow the sugar and the carbs back into my life, I started to drink more caffeine again and everything just slowly started to unravel. It was a slow decline and I’m sure we have all been there; we have the best intentions to get yourself back on track, but you don’t. You know that you should, but you don’t. Up until this point, I had really cut back on my sugar intake, I wasn’t taking in any caffeine and my eating habits were really strong. And when I started to decline, half of me was still eating really healthy. I love healthy meals and that was never the issue. But the other half of me? I was like a teenager who just wanted to eat hamburgers and french fries and ice cream all day long. So even though I was still eating lots of healthy food, I was allowing way too much of the junk back into my life. Throughout all of this, I remained really strong with my water intake, my sleep and my meditation/self care habits. My energy stayed high and I was still able to do great work. But could it have been better? Yes, probably. And as the months went on, I really started to feel my body changing. As soon as we start treating our bodies like garbage cans, you start to see and feel the consequences of those choices. I remained really consistent with my journaling, and of course I journaled about how I was feeling each day. I was very mindful of the process as it was going on. I knew better, but I wasn’t doing better. I just couldn’t seem to get myself out of it. I wanted to be able to eat what I wanted MORE than I wanted to have the best health and be at my best. I finally went to see my doctor for my yearly physical exam and I was very open and honest about what was going on and how my body had been feeling. 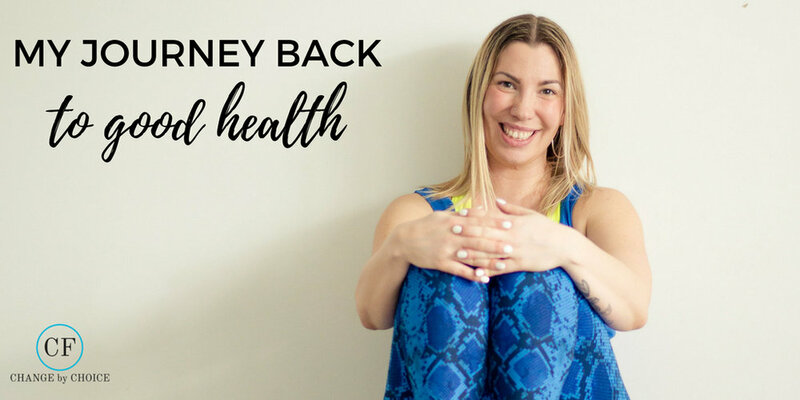 I felt like my skin was starting to discolor, my hormone levels seemed all over the place, I was experiencing more pain, more tension and more headaches than I ever had before. I could feel my pH levels changing. And it was all due to my nutrition habits and my lack of consistent exercise. My doctor told me that it sounded like I was starting to become resistant to insulin. That was it. I was not expecting to hear that at ALL; it was not even on my radar that it could be a possibility. I was shocked but what a blessing because that was the wake up call that I needed. I left the doctor that day with a new mindset that things MUST change and they must change now. For myself, when I need to get back on track, I have to be really extreme with it at first until I am at a place where I can get back into a normal flow. For others, that route just does not work. You might need to take it one small step at a time to get yourself back on track. There is no right or wrong way here; the point is that you start taking those steps to take control back over your health. Which is exactly what I’ve been doing in these last few weeks. My doctor recommended I implement a keto-style diet, with lots of proteins and healthy fats and lower on the carbs. I’m not going super extreme with it, but I’m playing around with different things and finding what works for me. Huge kudos to my girl Kayla (The Roasted Chickpea); she does my food prep for me and it’s been so great working together on eliminating certain foods and trying new things and getting creative in the kitchen. I’m also starting a month long hormone test with Dr. Diana Draper to really get a good picture of where everything is at within my body. I will definitely be sharing more of that journey with you as well so make sure you’re following my instagram stories! I’ll leave you with a few takeaways that I really want you to think about in your life. Make sure you are seeing your doctor on a regular basis! Go there with questions and concerns and talk to your doctor; they are there to help you. This is your life and your body – start talking about and addressing the things you are experiencing. Don’t allow the fear of “I don’t want to know” to hold you back. Knowledge is power and you can’t fix what you don’t know is broken. A key part to this journey for me has been my consistent journaling; about how I’m feeling, what I’m experiencing, how my energy and vibrancy has been. Keep track of these things so that you have a benchmark to go by moving forward. What is coming up for you? What can you relate to from my journey? Explore all the different areas of your health, your nutrition, your sleep, your exercise, your water intake. Where can you make some small shifts? Where have you allowed some bad habits to creep in? Choose your hard. You can either start to shift now and do some things that maybe aren’t as enjoyable, or you can feel the long term consequences on your health later in life. If you knew that the choices you are making in your life NOW are shortening or lowering the quality of your life…would you start making different choices? Don’t wait until you hear bad news to make those shifts. Just start with one small thing each day. I promise you…you shift how you eat, you change your life. That’s the bottom line. My challenge to you is to really take a good look at your health, talk to your doctor and start to analyze where you can make improvements. Let’s make the rest of 2018 your healthiest months yet and I promise you, you’ll look back on this next year and you won’t even be able to imagine going back to how it used to be.